In 2017, the Perley and Rideau Veterans’ Health Centre received approval to open a 20-bed Specialized Behavioural Support Unit (SBSU), the only unit of its kind in the Champlain LHIN. The Unit features a secure environment and provides safe, enriched care to people with dementia who are exhibiting responsive behaviours. Residents are expected to stay in the SBSU for six-to-nine months of specialized care and treatment, until they can safely transition to their place of residence. The unit provides specialized care to its residents with higher staff-to-resident ratios than those in standard long-term care settings. 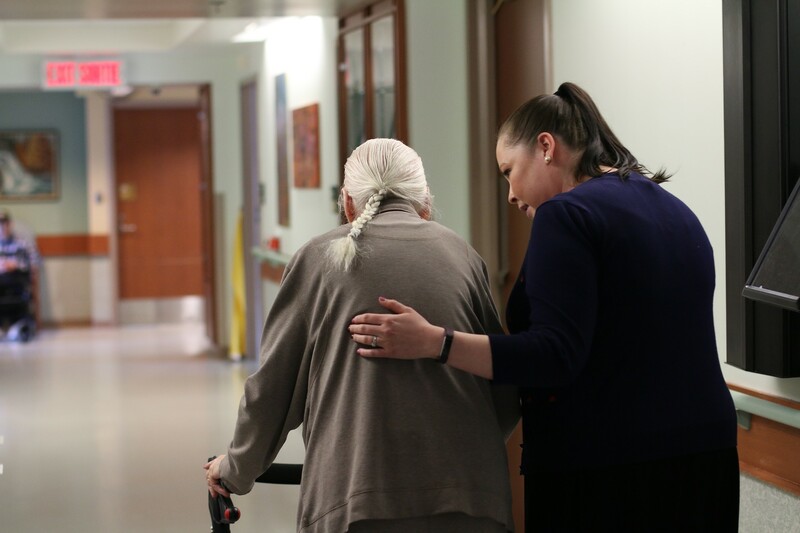 Additionally, the unit’s personal support workers, registered nurses and registered practical nurses have expertise in managing responsive behaviours. The Royal Ottawa Mental Health Centre (The Royal), as the lead agency for the Behavioural Supports Ontario (BSO) program in the Champlain Local Health Integration Network (LHIN), provides consultation service and education, collaboratively supporting the management of responsive behaviours. Both avenues require a referral from Home and Community Care, Champlain Local Health Integration Network (LHIN).